Twins Craig and Charlie Reid and their talented band will perform eight shows nationwide in May 2019 – including Black Barn Amphitheatre on Sunday 12 May 2019. 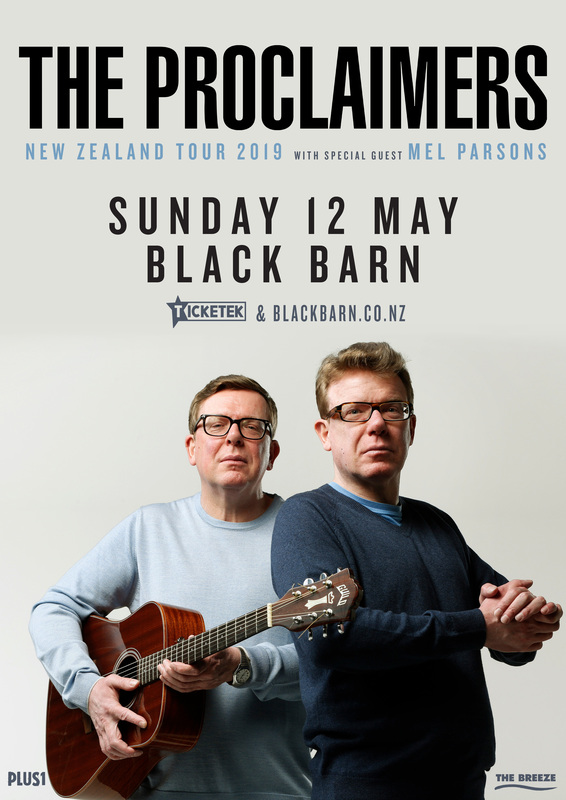 The Proclaimers are currently in the middle of a 60-date tour through Canada and UK in support of the new album, before heading down under as part of more tour dates in 2019. Bus transportation organised through Nimon & Sons, from $13-25 return. Released in November. Food items will be available from venue food stalls around the venue. NO LARGE HAMPERS OR CHILLERS are to be taken into the venue as space is limited. Wine and beer will be available for purchase however our license stipulates that no additional alcohol or soft drinks be brought in to the venue itself. Sealed bottled water is allowed. Venues are required by law to refuse entry to anyone who is intoxicated. Alcohol will not be served to anyone who is intoxicated. Alcohol will not be served to minors. No ID - No Service - No Exceptions *Wine must be consumed from a glass. The Concert will continue rain or shine. Please check the forecast and be prepared accordingly. IMPORTANT: Black Barn strongly objects to the use of unofficial ticket sellers who mislead customers into purchasing invalid tickets which are sold at inflated prices and can lead to non-admittance or ejection from the Event. DO NOT BUY TICKETS TO BLACK BARN EVENTS FROM VIAGOGO. Please note BNZ Globalplus Visa and MasterCard customers may experience problems. As a condition of sale, there are no refunds, exchanges or cancellations once the booking is complete except in accordance with applicable laws in the region of purchase. Please refer to Black Barn Vineyards Terms of Sale for further information or contact us for further assistance.